Collins Fitness utilises cutting edge, personal training techniques to help clients from all walks of life achieve their individual, physical aspirations. Based in an exclusive, private studio in the heart of the City of London, Collins Fitness has helped a wide range of clients successfully achieve their desired goals. Individual client programmes have included everything from body transformation training with professional actors, sports specific training with competitive athletes, to general strength and pilates training. Adrian Collins, Founder of Collins Fitness, achieved a BSc Hons in Sport and Exercise Science from Northampton University. Upon completing his degree Adrian qualified as a Personal Trainer in Australia under the Australian Institute of Fitness, before bringing his training back home to the UK. Get in touch for more information on any of the Collins Fitness training. The following signature training programmes are just a few examples of what Collins Fitness has to offer. Having worked with many sports specific clients over the years, particularly marathon runners and tri-athletes, I have constructed tailored workouts that target weaknesses and develop strength in these areas. The specific programs assist my clients in improving their speed and agility – knocking down competitive times is one of the key goals. Seeing a broad range of clients with pre-existing injuries (particularly knee, shoulder and ankle), I construct individual injury, rehabilitation programs. Gait analysis is a vital tool which offers a detailed overview of an individual's functional blueprint and subsequently helps me to prescribe a quicker recovery. Working in the City, I frequently see individuals who have picked up bad habits from working long hours at their desks, which is detrimental to their posture and overall range of motion (ROM). Referring to specialist pilates techniques I can help alleviate these postural issues. Resistance training is essential in changing your body's composition. I guide my clients to gradually build and accomplish specific exercise techniques, looking at gaining muscle to strip down their body fat percentage. 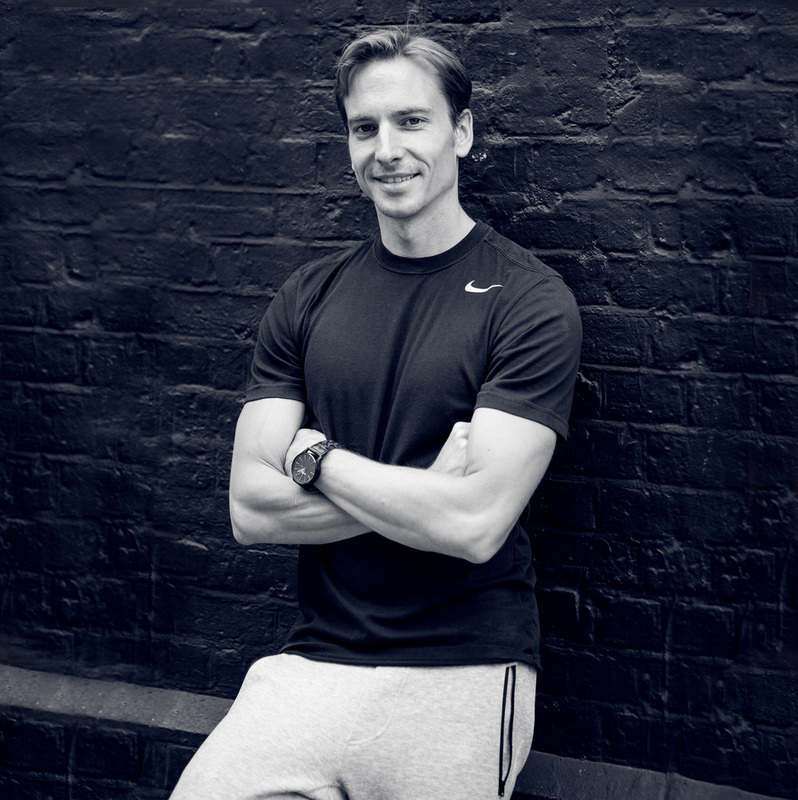 Adrian has studied the Polestar Pilates method which draws on the sciences of anatomy, physiology, biomechanics and motor control. It integrates scientific research in the areas of orthopaedics, sports medicine and movement science. It doesn’t matter where in the world you are, the online training program ensures that you achieve your goals through individual coaching and guidance, keeping you up to date with the best programs to suit you. Online training is tailor made for those with busy professional lives, specifically those who travel a lot or live outside of the central London area. After an online consultation, establishing your diet, lifestyle and goals, we then put together a personalised, bespoke program specifically for you. This service offers ongoing contact and support, working closely and adjusting your set training and nutrition goals each month and guiding you through your fitness program. Collins Fitness studio is in the heart of Shoreditch at The Vault Gym. We are also available to train you at your chosen location.